We welcome up to two pets per apartment home. There is a $300 one time per pet fee and a $15 monthly pet rent fee. Weight limit for one pet is 40 lbs. or a total of 2 pets at 25 lbs. each. Maximum full grown and non-aggressive breeds only. Please call our leasing office for more details. 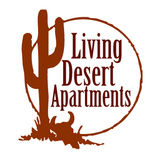 Parking Comment: We offer off street parking and select units covered parking. Park close to your apartment!